There are a surprising a number of jeans made in the UK. Why not buy British made jeans next time? Here are the makers and suppliers I know of. Freddies of Pinewood 1950s style Jeans Skirt. Made in England. 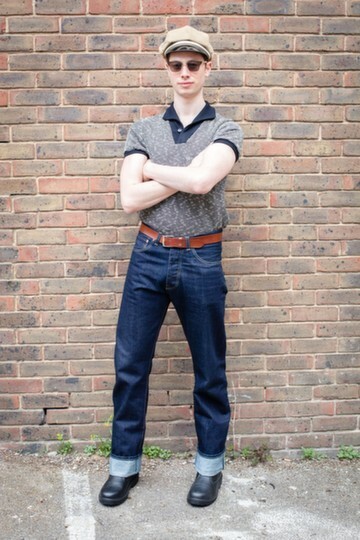 Freddies of Pinewood 1950s style Men’s 1950s Jeans. Made in England. Community Clothing Men’s Straight Cut Jeans – 32″ Leg. Made in England. Hood Jeans are a small company based in Norfolk, England. 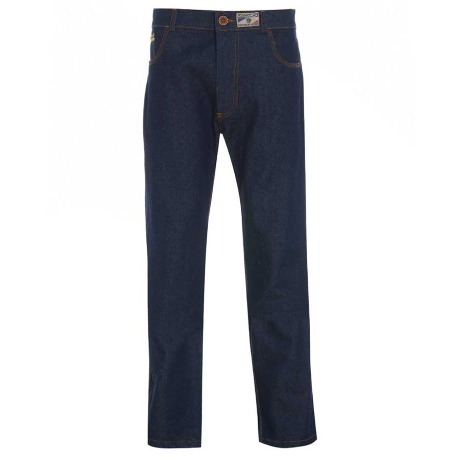 Set up the company in 1998, the company manufacture British made motorcycle jeans for men and women (lined jeans with integral protective armour). Thanks to Rob for telling me about this company. He describes their jeans as “great kit”. Hood jeans also make non motorcycle jeans, hood 55 apparel. As far as I know their other clothing, such as their t-shirts, is foreign made, but their jeans are British made. They say on their website that “they still produce all the Jeans in the UK”. They do not say where their denim is sourced – update 18/9/18 according to the Hood Jeans website “The main production will now take place in China but the development, design, sales team and most importantly heart of the Hood products will remain in the UK, as will a small production capability.” Sadly then Hood Jeans are not made in the UK anymore. Lee Cooper had a factory in Harold Wood, London. The Lee Cooper website fails to mention where Lee Cooper jeans are made today but they are probably made in Tunisia. I imagine the London factory has closed down. Levi Strauss and Wrangler are the big names in Jeans from the USA. Whether they were ever made in the UK I don’t know but I don’t expect any of their jeans today are UK made. Hiut Denim is a fairly new company founded in 2011 by the former owners of Howies. 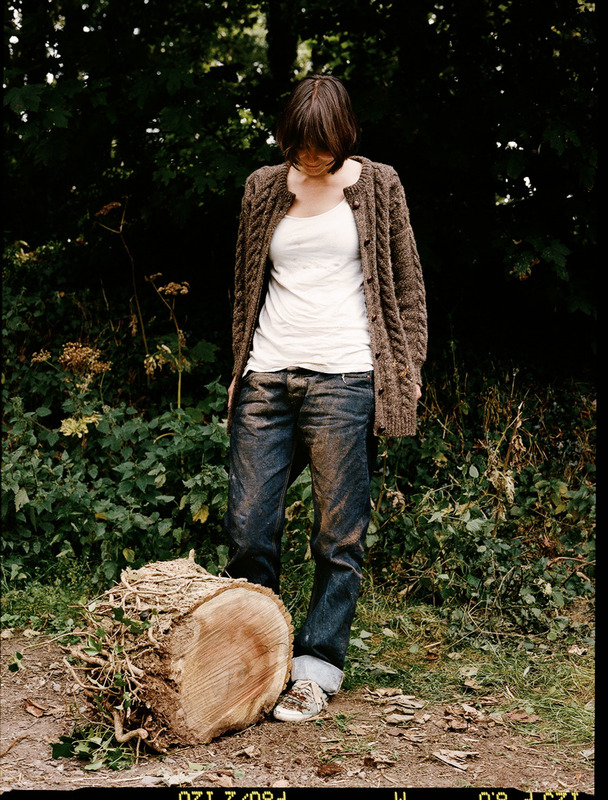 The denim itself is sourced from Japan and Turkey but the jeans are made in Cardigan, Wales. Cardigan used to have a jeans factory, Dewhirst, making jeans for Marks and Spencer but they moved production to Morocco 10 years ago. These are premium priced jeans. I have not tried them but they look very good. There’s a good article on the company here. 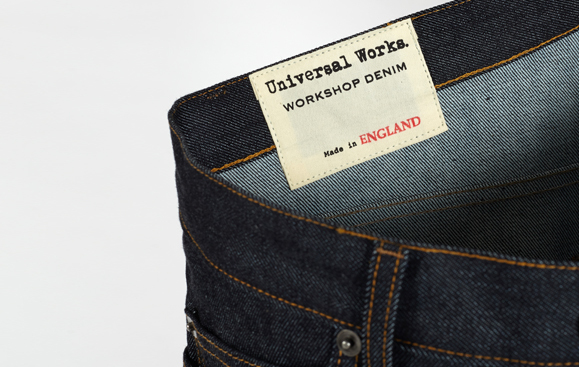 Some Universal works made in England jeans. Are there any other British made jeans or denims? This entry was posted in Clothing, Jeans, Ladieswear, Menswear, Outdoor Gear and tagged Alarleo, Albam Clothing, Athlete Denim, British made jeans, Bysshe Partnership, Community Clothing, Cookson & Clegg, Denim, Dress to Undress, Edwin, Empire Jeans, Finisterre, Freddie's of Pinewood, Gaolhouse Denim, Hiut Jeans, Hood Jeans, Jeans, Jeans made in the UK, London Cloth Company, Made in Wales, MECCANICA, Monkstone Knitwear, Quantock Clothing, Resolute Bay Clothing, Tender, Tender Jeans, UK made jeans, Universal Works, Wizard Jeans on November 11, 2012 by ukmade. Hi. 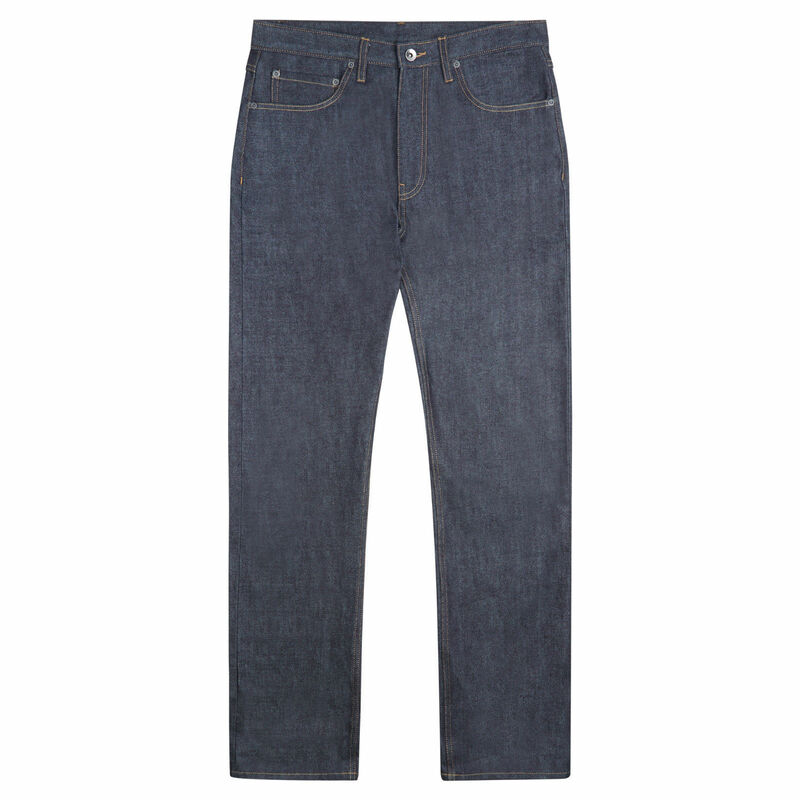 I have had a couple of pairs from albam (www.albamclothing.com) which have been excellent. Other makes that I am aware of are Tender (www.madebytender.com), Gailhouse Denim (www.gaolhousedenim.com) who have a fascinating story and Wizard Jeans who have bought production back to the UK (www.wizardjeans.com). The only thing I can’t find is British made Denim, most use Japanese, but I have read rumours that one of the Lancashire mills does. I will keep looking! Hi. Thank you for your comment. I will add these companies. It’s really good to see more companies making jeans in the UK than I thought. Again, very useful. Thank you. which is a pity since it looked like a brave and socially useful initiative. Dear Simon. Thank you for your comment. I have updated accordingly. It is shame that Goalhouse Denim have gone. As you it’s a pity because it was a useful social initiative. HOOD JEANS: Take it from a Biker, this is great kit! BRITISH MADE is just a sweet bonus. I really want some Black, Skinny, British made jeans. Do you now of any companies who doe this? All of these only do stone/rinse washed denim. I don’t know lots about jean production, so not sure what it is that makes them black, and so why this seems ot be so rare on British made jeans? Hi. Lots of people want black jeans and some of the companies here do them – for example Hiut do skinny fit black jeans. Have a click around and I hope you can find your skinny black jeans and ones that are made in the UK. Most of the ones I have seen are in colours other than blue denim however. Cordings in Piccadilly stock this brand and badge them up as Cordings. Empire Jeans all the way, Made In UK however they do source their fabric from the far east, 100% of their jeans are made here!! Great quality will be purchasing for years to come! Hi. Thank you for your comment. I have added you to my article on jeans at http://wp.me/p2KOue-jc. Great to see you are making your clothing (except underwear) in the UK and jeans for people with muscular legs is such a great idea. Good luck. Many thanks for adding us to your great blog! Hi, we have all our jeans and tops made in the UK. http://www.freddiesofpinewood.co.uk/. Hi. Thank you for your comment. Great to hear that. I’ve had a look around your website and you are offering a good range of great looking clothes. I have featured you under my jeans category at https://ukmade.wordpress.com/category/jeans/ and under my clothing article at https://ukmade.wordpress.com/2015/05/17/clothing-british-clothes-manufacturers/ thank you for letting me know about your company. An interesting piece on today’s You and Yours (R4), making reference to the relatively recently founded cooperative : http://communityclothing.co.uk . Perhaps something you were already aware of? Thanks for pointing out Community Clothing. I was aware of this project but I have taken the opportunity to update my write-ups on them so thank you for that. Good to hear they were mentioned on Radio 4. What’s good here is that they are selling British made basics such as knitwear, t-shirts. jeans, socks and outerwear with many items at very reasonable prices. Also worth checking out these guys – all made in Wales, denim may be non-UK, and, well, last I looked we don’t grow cotton. Have you looked at Hebtroco. Governor trousers made in Hebden Bridge for cloth woven in Lancashire. Hi. Thank you for your comment. I have updated the site to reflect what you said. As far as I know their other clothing, such as their t-shirts, is foreign made, but their jeans are British made. Great article, but having spent an afternoon trying to buy a pair of UK-made jeans I find that they are all either button flies (no good – who really likes button flies?) or come in “standard” sizes with no option to choose waist and leg measurement individually. I don’t mind paying £200 for a decent pair of jeans, but I’m not going to part with that sort of money for something I don’t like. Hood jeans has switched production to China due to eu legislation on safety fabrics (according to their website) Small level of production maintained in UK apparently. Sadly sounds like another good company succumbs to outsourcing. Thank you for the information about Hood Jeans. I have updated my site accordingly. It’s a shame to hear Hood Jeans have outsourced production to China.